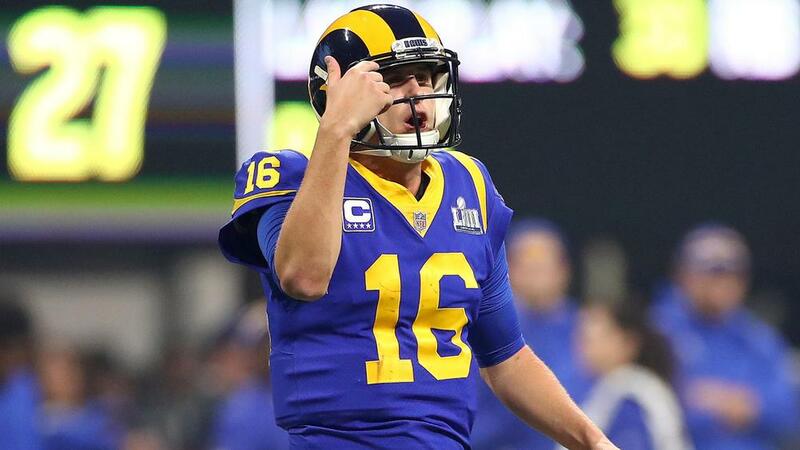 Jared Goff accepted the offense failed to fire in the Los Angeles Rams' loss to the New England Patriots. Los Angeles Rams quarterback Jared Goff was left hurting after his team's loss to the New England Patriots in Super Bowl LIII on Sunday. "Kills, kills and it hurts me so much just knowing how well our defense played against that team, against Tom, to play that well defensively and us not hold up our end of the bargain," Goff told a news conference. "It's our job to score points and we didn't do that." "It's the toughest loss I've ever had. It kills. It's terrible," he said. "There are some good things you can take from it, but right now there's nothing. "It's a game I wish I would've played better, I wish we would've played better offensively as a whole, I wish I could have a million plays back but there's nothing you can do about it, you've just got to learn and move forward."